This portable balloon filling station makes it easy for kids to fill, and the tying tool is made to tie water balloons in seconds. Its integrated handle makes it easy to carry while playing. The one gallon tank has an approx. capacity of 20 balloons worth of water. 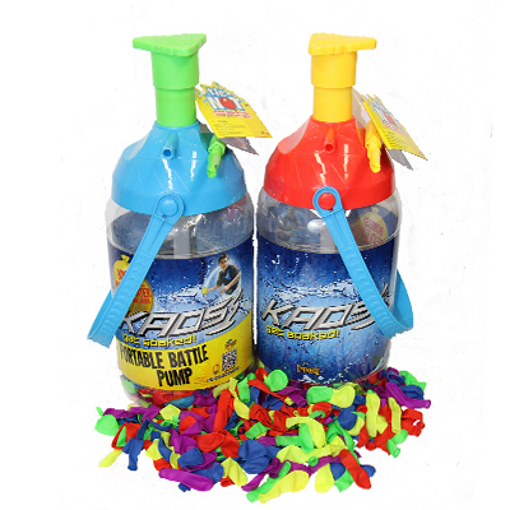 Includes 250 water balloons which are biodegradable, tying tool, and the Battle Pump.